Most consider Passover a Jewish holiday and Easter a Christian one. But when we compare the biblical Passover with Easter, we find something very different. 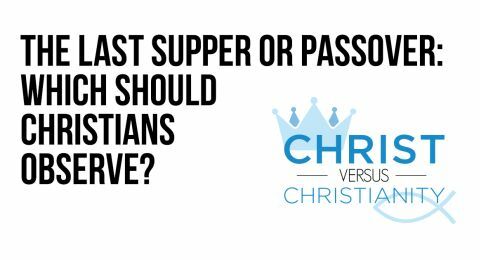 If you asked most people what they would associate the words Passover and Easter with, you would probably get something like “Passover is Jewish and Easter is Christian.” But would this basic answer be correct? 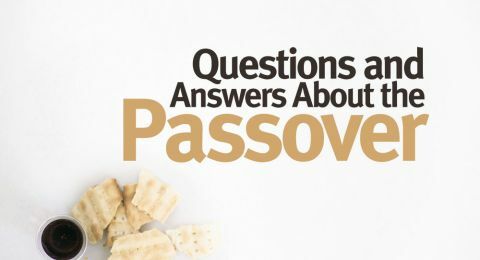 There is a big difference between Passover and Easter, but you may be surprised to learn that it isn’t that one is Jewish and one is Christian. Here are five major differences between the two. The origin of the Passover is found in Exodus 12. The Israelites had been under harsh slavery to the Egyptian Pharaoh, who had refused to let them go. 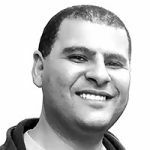 Because of Pharaoh’s stubbornness, God sent a series of plagues on Egypt and was about to send the 10th and final plague: killing the firstborn of all people and animals. God would spare, or “pass over,” only those who smeared lamb’s blood on their doorway (Exodus 12:12-13). The day was called the Passover and was to be kept by Israel as a memorial of their deliverance from slavery in Egypt (Exodus 12:14; Leviticus 23:4-5). What about Easter? You can’t find Easter commanded in the Bible. The word is actually found in Acts 12:4 in the 1611 King James Version, but most scholars recognize it as a clear translation error (modern translations replace it with the word Passover). There are over 70 references to Passover in the Old and New Testaments—but no legitimate references to Easter. One of the major differences between Passover and Easter is this: The Creator God commanded Passover to be kept by His people. He never commanded anyone to observe Easter to commemorate Christ’s resurrection. Who commanded Easter’s observance? It is a historical fact that the Catholic Church commanded Easter’s observance at the Council of Nicea in A.D. 325. Church leaders did not appeal to scriptural authority, only their own authority, to make the change. Sadly, Christ’s warning against substituting human tradition for the commandments of God was ignored (Matthew 15:3; Mark 7:13). God ordained the Passover to be kept annually on a specific day: the 14th day of the first month on the Hebrew calendar (Deuteronomy 16:1; Leviticus 23:5). 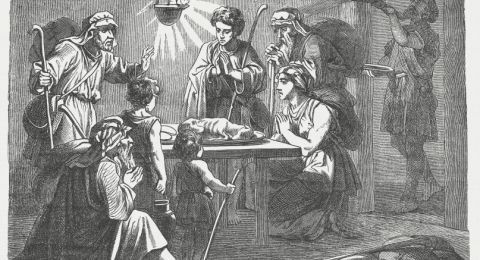 The Catholic Church persecuted the early Christians who kept the Passover, calling them Quartodecimans (Latin for “14thers”) and Judaizers. The Passover was so despised that “in 325 CE the Council of Nicaea established that Easter would be held on the first Sunday after the first full moon occurring on or after the vernal equinox. 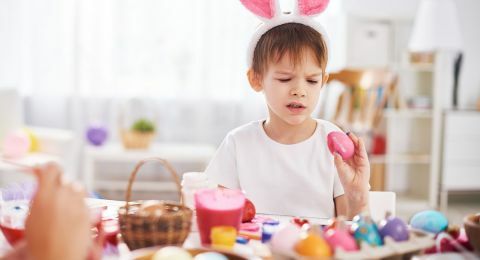 From that point forward, the Easter date depended on the ecclesiastical approximation of March 21 for the vernal equinox” (“Calculating the Easter Date,” timeanddate.com). This gave Easter a movable date that wouldn’t fall on the Passover. Even then, the Western churches use the Gregorian calendar and the Eastern churches use the Julian calendar, so their dates for Easter differ. Jesus Christ was ordained as the Passover Lamb that would be sacrificed to make freedom from the penalty of sin possible (John 1:29). The Passover of Exodus 12 pointed forward to Christ’s sacrifice 1,500 years later! 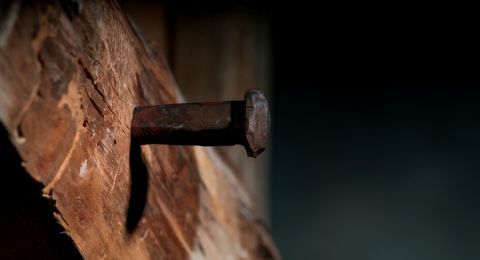 Just as the Israelites were saved from death by the lamb’s blood, we can be saved from eternal death by Christ’s blood. The Passover of Exodus 12 pointed forward to Christ’s sacrifice 1,500 years later! At His last Passover, Jesus instituted unleavened bread and wine as new symbols—representing His broken body and blood. He commanded us to “do this in remembrance of Me” (Luke 22:19). The apostle Paul taught us to keep it on the “same night in which He was betrayed”—the evening of the Passover (1 Corinthians 11:23). Easter purports to celebrate Christ’s resurrection. The problem is, though His resurrection was extremely important, Christ never established it as an annual observance. There is also no record of the apostles or early Church celebrating it. Plus, biblical evidence shows Jesus didn’t even rise on a Sunday morning. Symbols of the Passover are full of meaning. Jesus Himself is “our Passover” and “sacrificed for us” (1 Corinthians 5:7). The unleavened bread represents His sinless and broken body (Matthew 26:26), and the wine represents His blood that was poured out for us (Matthew 26:28). The foot washing represents the humility and serving attitude of Jesus, which we are to emulate (John 13:5-8, 9-11, 12-15). 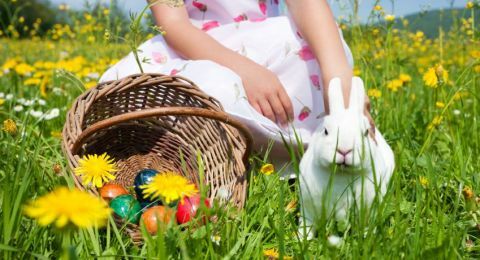 The primary symbols associated with Easter are eggs and bunnies. But these have deep roots in ancient pagan practices. Bunnies and eggs are ancient fertility symbols that were appropriated years after Christ’s resurrection. Even the name Easter has origins in an ancient pagan goddess.